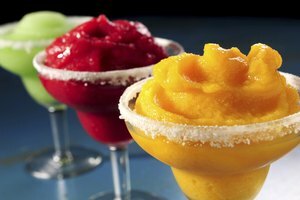 Most liquors need a little chill to help tamp down the bite, but frozen might be taking a bit too far. If you've ever wondered why your vodka martini doesn't freeze solid in the martini shaker, or why your schnapps doesn't congeal in the freezer, it's because the liquors are not reaching their freezing temperatures. The freezing point of a particular liquor depends on its proof, and alcoholic beverages with the same proof will freeze at the same temperature -- meaning that 70-proof liquors, no matter what kind or brand, all meet the same freezing cold fate. 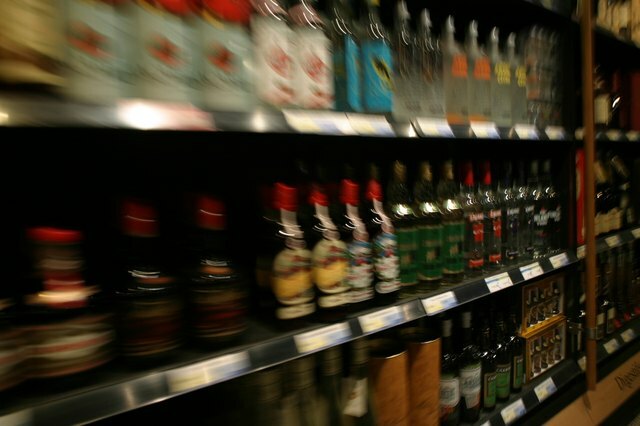 Proof is an alcohol gauging system that is reserved for distilled spirits such as liquors and liqueurs -- wines, beers and mixed drinks are not assigned proofs. A liquor's proof stems directly from its alcohol by volume, or ABV, which is the percentage of ethyl alcohol or ethanol found in the beverage. Proof is double the ABV, so a 70-proof spirit actually has an ABV of 35 percent. A liquor with a lower proof has a greater concentration of water in it, which means that it's freezing point will be higher than a liquor with a higher proof. Liquors and liqueurs with a proof of 70 are actually at the lower end of the spectrum when it comes to liquor strength, but many different types of common liquors, such as rum, vodka and some specialty flavored whiskeys, have 70-proof versions. Many alcoholic beverages with 70 proof have a higher concentration of sugar, added during or after the distillation process -- these include flavored vodkas and rums as well as fruit-flavored brandies and liqueurs. 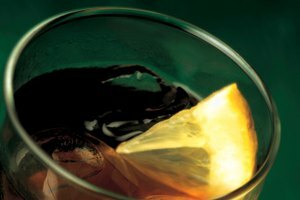 A few other 70-proof liqueurs include coffee liqueurs, some of which are tequila-based, and a few whiskey-based liqueurs. 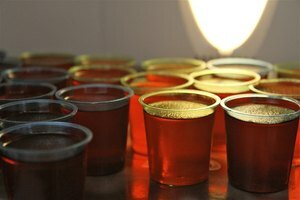 The freezing point of different alcohol proofs is based on the concentration of ethanol or ethyl alcohol mixed with water. Pure ethanol freezes at -173.2 degrees Fahrenheit or -114 degrees Celsius, and water freezes at 32 degrees F or 0 degrees C -- so the freezing point of 70-proof alcoholic beverages falls somewhere between. 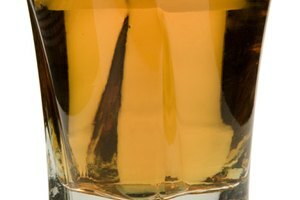 According to the Department of Physics at the University of Illinois Urbana-Champaign, a solution with 30 percent ethanol concentration, or 60 proof, has freezing point of 5 degrees F or -15 degrees C, and one with 40 percent ethanol concentration, or 80 proof, freezes at -10 degrees F or -23 degrees C -- therefore, 70-proof alcoholic beverages freeze around -2.5 degrees F, or -19 degrees C.
Worrying if you'll accidentally freeze your booze without some high-grade refrigeration unit isn't necessary. The U.S. Food and Drug Administration recommends that you keep your refrigerator's temperature at no higher than 40 degrees F, or 4 degrees C, and your freezer's temperature around 0 degrees F, or -18 degrees C. Both temperatures are warmer than the freezing point (2.5 degrees F or -19 degrees C) for 70-proof alcoholic beverages Chilling liquor in a cocktail shaker will also not freeze 70-proof liquor; the friction from the repetitive motion will not let the liquor reach that temperature.